Ludwig Bemelmans directed a lot of his energy to illustrating and writing children’s books, but in his work we also see his great talent for design and color! It is this artistic talent which helps to explain his popularity with adults as well as children. 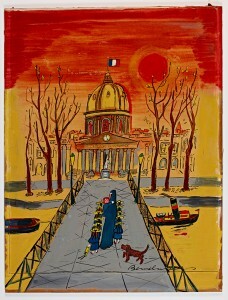 His ability as a colorist looks equal to that of Andy Warhol, but Bemelmans is greater at adding emotion to drawing. Warhol borrowed photographic images and took photographs, and Warhol’s drawings of cats communicate very little emotion. 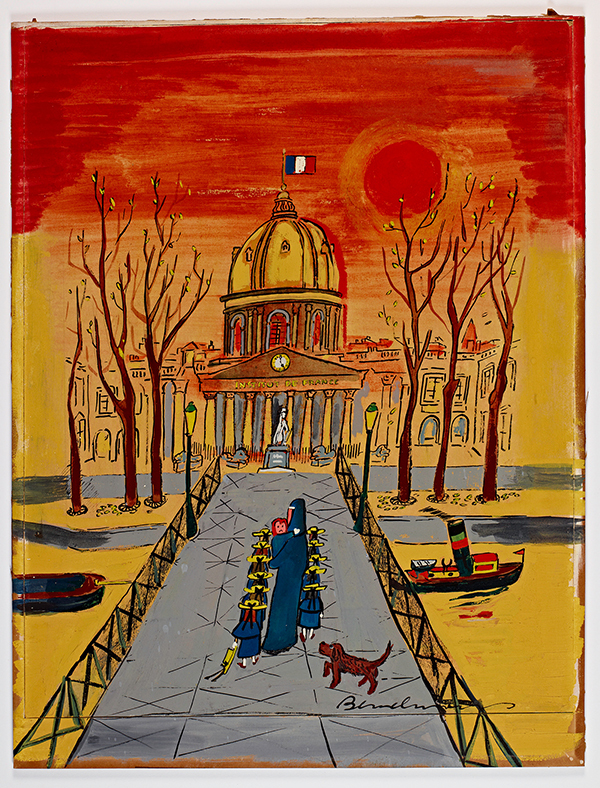 Reference link to Artnet article on Ludwig Bemelmans.